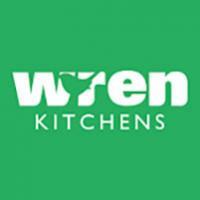 We are in the process of renovating a property and came accross an advert for this company in our local newspaper - advertising last season B&Q kitchens at half price. We had already had a design and quote completed by B&Q so we contacted the company to arrange a visit. As mentioned in previous reviews - a scruffy looking salesman arrived, along with his deck chair , a pad of graph paper and a ruler. He proceeded to transfer the B&Q design onto his pad, making no changes what so ever,he then gave us a very favourable quote on a like for like kitchen, informing us that we could receive delivery in 2 - 4 weeks. He advised us that in order to process the order he would need a £100 cash deposit (this is when the alarm bells should have started ringing)but unfortunately we foolishly ignored them. On returning home we checked the web site and found lots of bad reviews. We immediately sent an e.mail and cancelled our order. The following morning my husband tried to phone the salesman on his mobile number - suprise, suprise - the number did not take incoming calls. He then contacted the company (after being on the phone for approx 35mins ) - spoke to a number of individuals who informed him that we would get a full refund of our '£100 deposit' once they had received formal notification of cancellation (this was sent to them the following day - recorded delivery - that was over a month ago. - still waiting but not holding out much hope. We, consider ourselves to be lucky considering some of the reviews - it could have been worse. but equally we feel embarrassed that we allowed ourselves to be duped. Can I ask is this stillhausekitchens.